Learn how AmeriFactors turned a short-term agreement into a 25-year relationship with one of Florida’s top printing companies. Most companies use factoring to help them through a growth period, then graduate to traditional financing methods once they are able to establish credit and cash reserves. Sometimes, however, a company finds that factoring affords them the freedom to concentrate on running the business without having to spend time managing their accounts receivable. That has been the case with a family-owned and operated Florida-based printer that has worked with AmeriFactors for over 25 years. The client approached AmeriFactors in 1990, when they were in need of financing because they wanted to grow their business. 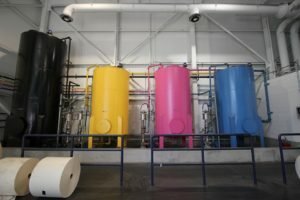 Printing is capital intense, with the company having to purchase equipment and supplies. Their customers were slow paying, and the client was spending much of their time chasing down payments. Since 1990, AmeriFactors has been working with this client and has funded over $30MM in invoices for them. We are not only their factor; we are their accounts receivable management team handling the funding and collections of all of their invoices. Periodically we make courtesy collection calls on their behalf, giving them the freedom to concentrate on running their business. For over 25 years the client has had a steady stream of working capital, allowing them to be more aggressive when pursuing new business and bidding on large projects. It is rare to find a business that stays with a vendor for any extended period of time, and AmeriFactors is proud to have served this client for over a quarter of a century!